W. Jager, R. Verbrugge, A. Flache, G. de Roo, L. Hoogduin and C. Hemelrijk (eds.). 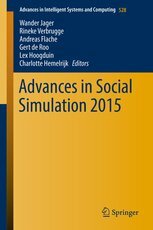 Advances in Social Simulation 2015 (LNAI Vol. 528). Springer Verlag, 2017. J. van Benthem, S. Ghosh and R. Verbrugge (eds. 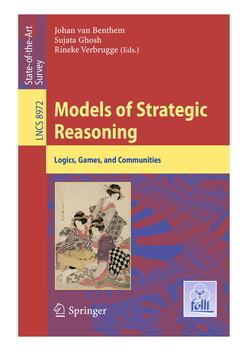 ), Models of Strategic Reasoning: Logics, Games, and Communities. 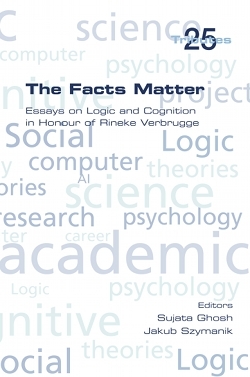 The Facts Matter: Essays on Logic and Cognition in Honour of Rineke Verbrugge. Tributes series, No. 25, College Publications, London, 2015. This book, edited by Sujata Ghosh and Jakub Szymanik and filled with great articles by my friends and colleagues, was the most beautiful birthday present I could ever have wished. You can download the scientific part here. Texts in Logic and Games, FoLLI subseries of Springer Lecture Notes in Computer Science, volume 7010, Springer Verlag, Berlin, 2012. Teamwork in Multi-Agent Systems: A Formal Approach. Wiley and Sons, Chichester, July 2010. Multi-Agent Systems and Applications V.
Springer Lecture Notes in Computer Science vol. 4696, Springer Verlag, Berlin, 2007.